Helping your clients go from “thinking about it”, to YES! How do you help people get from just “thinking about” your work to saying “YES” and purchasing your goods & services? This is confusing and difficult for many entrepreneurs. Maybe you give away a lot of products and services but have trouble making money? Maybe you don’t have a lot of people who love & admire your work in the first place? Or perhaps you feel insecure about charging market value for your work? You’re not alone. I’ve been there too. When I first started a personal growth business years ago, I wasn’t even sure there was a market for it. And I felt insecure to actually charge for a spiritual service. I felt embarrassed. However, I had a passion for what I did, and I knew that charging money would ensure longevity. I knew it would enable me to serve people in nice facilities, with good equipment, and peace of mind, knowing my back-end costs, and material needs like childcare, rent and food, were met. But all that alone was not enough for me to attract paying clients. I had to put myself in a context beyond myself and my own needs. I had to get out of what money would do for me or my work. I had to get into the mindset of helping others. Once I did that, I began to prosper, and BIG TIME! These are the tips that I learned from my coach, which, put into practice, helped me build a 6-figure business. I encourage you to put them in action now, to attract plenty of good, paying work. 1. Find a purpose and a meaning for your work that is bigger than you. Why are you doing what you are doing? Who inspires you? What is your greater purpose? Maybe you are here to teach others, to inspire healing? To help women or minorities? To bring more peace, order, beauty, or empowerment? Begin to give a percentage of your income to the places that serve that vision. This can be giving to spiritual teachers, sharing with charities, or organizations that are making the world a better place. This helps you feel more deserving to receive big, because you are giving big. Giving to where you are spiritually inspired increases your own sense of gratitude and satisfaction, and makes sure that inspirational work continues to serve the world. When you get out of your own concerns, and into greater purpose, you automatically feel more enthusiastic and inspired, which is very attractive to potential clients and customers. 2. Network, network, network! Get out and meet people in your community so that you have a pool of people to draw from. You can’t prosper by sitting at home waiting for an email or a phone call. On average 1 out of 100 people I met would sign up for my work, and 1 out of 10 of my friends and family. Go to parties, potlucks, networking events. Post flyers, update your website, write a blog, post a video. Keep yourself visible, and connected to others. Being in community ensures ample flow, and healthy circulation for your business. 3. Listen and find out what people need. Life works when you give others attention, my coach Toni Stone says. And it is true. Often people just want someone to listen to them. I regularly give a free 1/2 hour consultation to prospective coaching clients. I simply listen, and write down what they want. This is helpful because if someone wants help, they will often sign up after a free call. And if they do not want ongoing help from me, I am then able to refer them to another practitioner, or to some practices they can do at home. In the context of helping others, it does not matter who signs up with you or who signs up with someone else. You create goodwill simply by being a good listener. 4. Give freely of the things you have to give. This may be samples of your products or services, special gifts you purchase or make to give away, or items from your home or office that you are passing on. 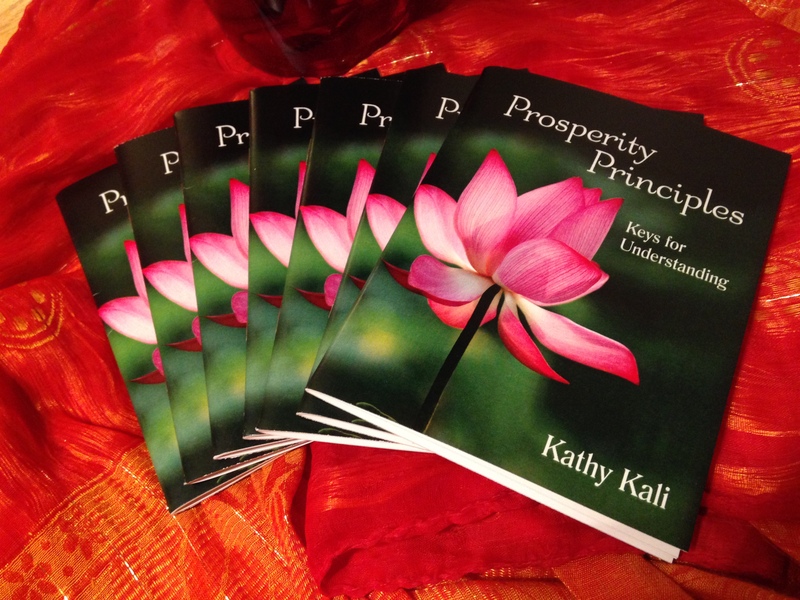 I give away books, affirmations, food, candles, magnets, and other gifts on a regular basis. You can also give specific gifts that you know someone will like. I was recently at an entrepreneur fair and bought a book for a client because it was on the specific theme she is working on in her life. Giving freely is fun, and it also enriches relationships. Most of the clients I have came because I got to know them, and gave them a lot of attention, services, and gifts. Occasionally someone will come in sight unseen and sign up as a paying client, but usually it is through giving. 5. Sell an inexpensive good or service first. There are many ways to create these kinds of opportunities: small products, introductory classes or private sessions that cost between $5 and $50 are a good place to start. Sales and discounts are great too. Helping someone inexpensively gets them in the door to get to know you and what you offer. If they like what they purchase, they may come back and be a repeat client. Sometimes someone will come to you and request your most expensive offering. That is great, of course sign them up! But be aware the gradual approach is more common. 6. Touch and go. This is a technique used in retail sales that works. Once you connect with someone, give them something, and let them know about your offerings, leave them alone to think about it. If you hover over them they might purchase something from you, but they might just want a lot of free attention. There have been times I gave someone lots and lots of attention only to find out they never intended to purchase in the first place. That was time I could have used serving other paying clients or spending time with my children. Leave them alone and attend to other clients, and then touch back with them to find out what they need. At that point it will become clear whether or not they are serious about buying. Give, and then give them space. 6. Get a clear yes or no. When you want to fill a class or workshop, sell a particular product, or up your private client load, decide how many spots you want to fill or products you want to sell, and then find out who will buy them. Then you can go about asking people if they would like to enroll or buy a product, and get a clear yes or no from them. I find for me this makes me less emotionally attached to what any one person says, because if one person says no, I just move on to the next, until my spots are filled. If you’ve done plenty of giving to establish and enrich your relationships, there will be plenty of people who will say yes to your offerings. 7. Give what you want to receive. If you are always saying, “no thank you” to opportunities to buy products and services that inspire you, then that is what you will get: lots of people saying no to you. If you hold back, “thinking about it”, so will they. To make yourself more receptive to paying clients, you can be a paying client of someone else. Find the places that inspire you, and support them financially. I pay about $750/month for high level coaching & training, and this makes me more willing to receive high level income. I regularly receive $100 bills, and am very willing to help others at my top rate. This does not mean you have to start at a $750 level. I encourage you to stretch into receiving some help, goods, or services at whatever level you can afford right now. I started 9 years ago by investing in a $45/month coaching call. That was what opened the door for me to receiving more income from others. Saying “yes please” to buying goods and services you love means lots of people will say “Yes please!” to you. It is my joy to help others prosper doing what they love. Thank you for reading Passion to Prosper, and have an abundant day! with your physical address below.